AIA New York’s Center for Architecture opens its newest exhibit, El Helicoide: From Mall to Prison, on May 9. The exhibit, curated by Celeste Olalquiaga of PROYECTO HELICOIDE, examines the development and subsequent collapse of the El Heliocoide drive-in mall in Caracas, Venezuela. The building was designed in the late 1950s by architect Romero Gutierrez as a representation of the utopian hopes of a booming Venezuela and quickly became an icon of modern architecture. 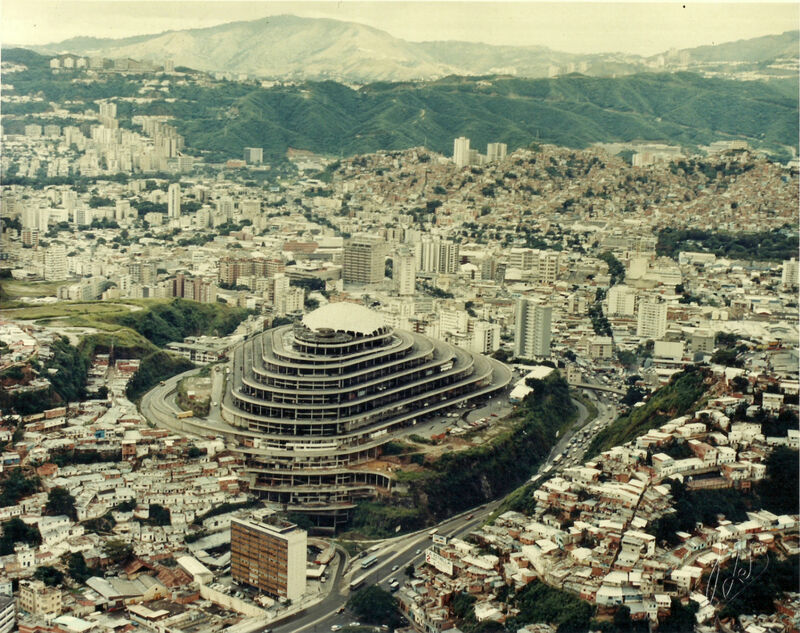 The spiraling mall caps La Roca Tarpeya hill, which overlooks Caracas, and is topped with a geodesic dome designed by Buckminster Fuller. The project went from being the star of MoMA’s 1961 show Roads to an abandoned home of more than 10,000 squatters after facing several financial roadblocks and a series of political upheavals. In 1985 the abandoned building was adopted by the Venezuelan intelligence services and has since been a place of imprisonment and surveillance. “El Helicoide’s failure and turbulent history are symptomatic of what went wrong with modern Venezuela,” said Olalquiaga in a press release. “By showing the building’s patrimonial and cultural value, PROYECTO HELICOIDE seeks to highlight the country’s outstanding modern heritage in all its contradictory complexity.” A book about the project’s history, From Mall to Prison: El Helicoide’s Downward Spiral, will be released in conjunction with the exhibit. An opening reception with the curator will be held on May 9 and the exhibition will be open through July 13. For more information, you can visit the AIA New York’s Center for Architecture event page here. When Miguel Arroyo arrived in New York City in 1939 as the assistant of the Venezuelan painter Luis Alfredo López Méndez, he met the architect of the Venezuelan Pavilion at New York's World's Fair: a young Gordon Bunshaft at SOM. The two formed a lifelong friendship. Later when Arroyo became director of the Museo de Bellas Artes, he and his wife, Lourdes Blanco, lived in the Altomar, a beautiful building by W.J. Alcock carefully propped on the hill heading west from the Plaza de Las Mercedes. Arroyo designed furniture all his life and the installation of the Museo del Arzobispo in Coro (Venezuela’s first capital city) was inaugurated in 1984. 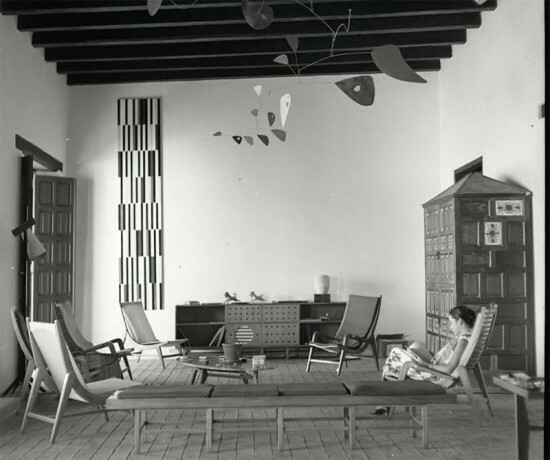 Design for Living concentrates on his earlier work, notably the interior he designed for Don Alfredo Boulton inside his colonial house in Pampatar, Margarita. The works in Colombia are also unknown for most architects and designers while the Brazilian works have gotten more exposure. I look forward to seeing this extraordinary show, which opens on February 11, 2015. It is on view at Americas Society from February 11 through May 16, 2015. Odile Speaks. 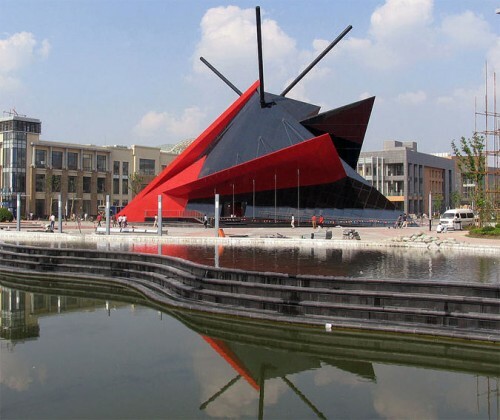 French architect Odile Decq, designer of the recently completed Macro Museum in Rome, will be delivering a lecture at Hunter College in New York on Friday, March 4. The event takes place on the second floor of the MFA building (450 West 41st Street) at 6:00 PM. Walk-way-up. At 45 stories, a skyscraper in Caracas, Venezuela could be the world's tallest walk-up. The New York Times has the story of the stalled tower that's now home to some 2,500 squatters. While the building lacks amenities like an elevator, proper bathrooms, or guardrails, it's said to offer a commanding view of the surrounding city. Toxic Town. Forbes ranks the ten most toxic cities in America and Philadelphia rises up as champion - toxic champion. Based on air and water quality, Superfund sites, and data from the EPA, the list generalizes that the west coast suffers from morbid air quality while New York, 4th worst, could improve its water quality. Pei Okay. The Wall Street Journal reviews I.M. Pei's Manhattan Centurion apartment building and finds that it "embodies an unfussy, functional, and elegant ethos that elevates it well above the schlocky residential construction now omnipresent in New York City." Pei collaborated with his son on the project, which might not be their last.